Many people take pride in the garden. They are keen green thumbs who enjoy the smell of fresh flowers whilst gardening. But with that comes health benefits. So, what are the 11 reasons why gardening is good for you? Many people take pride in their gardens. They are keen green thumbs who enjoy the smell of fresh flowers whilst gardening. But with that comes health benefits. So, what are the 12 reasons why gardening is good for you? Did you know that gardening such as pulling weeds and planting flowers can cause you to burn 200-400 calories per hour? On the other hand, if you mow the lawn, you could burn between 250-350 calories per hour. 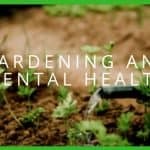 Not only can gardening be an effective form of workout, but it can also benefit your mental health too. Spending time outside can help reduce depression, anger and stress. Furthermore, gardening is good for you as it can help reduce the risk of diseases such as stroke and osteoporosis as well as improving your immune system. According to The British Medical Journal gardening can help reduce the risk of a heart attack or stroke. When looking at the age group 60+ gardening can help prolong life by up to as much as 30%. Gardening can be a hard workout depending on what you do and for how long. A simple 1 hour of gardening could help you to burn up to 330 calories. Also, if you garden for three to four hours, you could easily burn as many calories as you would from one hour in the gym. Therefore, The National Institute of Health recommend 30-45 minutes of gardening for three to five times per week. Which could be a perfect solution for those not wanting to visit the gym. 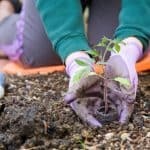 Gardening as a form of exercise can be good for you as it helps to release endorphins, the hormone that helps to make people feel satisfied and relaxed. Furthermore, being outside in direct contact with the sunlight could help improve your mood. Similar to that of Seasonal Affective Disorder, a type of depression that occurs during the winter months where sunlight is restricted. Also, another advantage of the sun is that it can help you absorb plenty of vitamin D. In short, Vitamin D can help your body to absorb calcium, which in turn, can help keep your bone strong and your immune system healthy. Maintaining your garden and keeping your plants alive is a great responsibility. This could be beneficial for those with mental health issues or those just looking for self-worth and purpose. Being outside in your garden and experiencing the change of seasons as and when they happen can help you feel connected to the world. This is like sitting in an office all day with only a glimpse out of a window can make time go quickly before you know it it’ll be New Year’s Eve again. Therefore spending the time outside and experiencing the flowers as they bloom can be a great way to keep track of time. If you have experienced a bad day simply grabbing a shovel and doing some heavy digging or drastic pruning could be a great way to rid of your built up of negative feelings. Furthermore, destroying unwanted brambles and weeds is a convenient way to exert anger as if you don’t destroy them they may soon take over your garden! Spending time in the garden is a great way to enhance your sensory system. With all the different smells, colours and textures of plants around you can easily make the most of your body’s abilities. This could be particularly valuable for young children who are learning about the different senses they have. Growing fruit and vegetables in your garden can be good for you as you can include your produce in your diet. Apples, tomatoes, carrots, in your garden, could all help you reach your daily five a day. Osteoporosis is a disease that can weaken bones and therefore increases the likelihood of a broken bone. 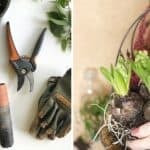 Therefore, by regularly gardening you will take part in repetitive tasks that can ensure all the major muscle groups are getting a good workout. This can help decrease the risk of osteoporosis. There has been research that suggests engaging in a physical activity such as gardening can help lower the risk of developing dementia. 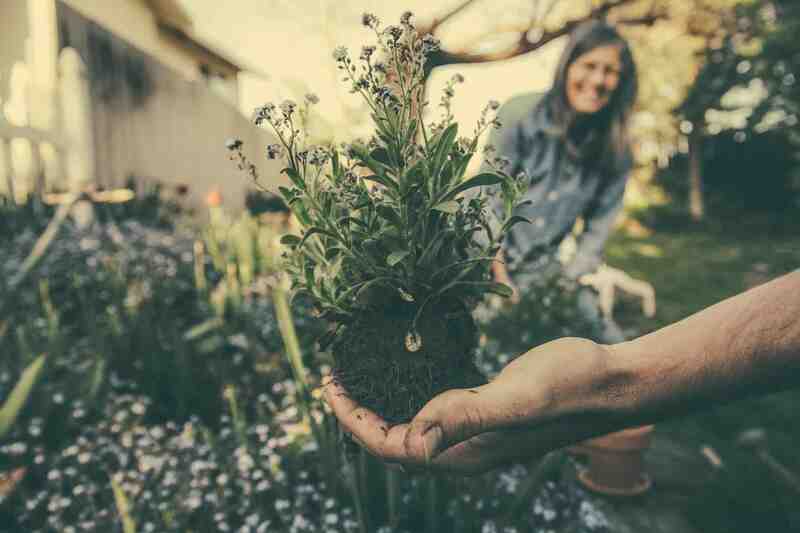 For instance, one study following a group of people in their 60s and 70s for 16 years found that those who gardened regularly had between a 36% – 47% lower risk of developing dementia compared to non-gardeners. Gardening can help you enter the ‘zone’. This can also be known as an altered state of consciousness where you enter a magical and spiritual place where you can experience the best of who you are. Similar to what an athlete will enter before and during a competition, or the mood you enter during yoga or meditation. Once gardening you won’t need to worry about the bills you need to pay, upcoming deadlines at work or people who have done something to offend you. Just breathe in the fresh air, give some attention to your garden and forget about any worries you may have. 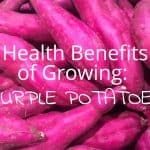 Overall, gardening regularly is proven to be good for you in many different ways. From health-related benefits that can help reduce the risk of a heart attack to helping you relax after a stressful day. What’s better than getting fit and maintaining a healthy lifestyle whilst making your garden a lovely environment you will want to spend time in. No longer does gardening need to be seen as a chore, but rather an investment into your health and well-being. If you are looking to get into gardening but don’t know where to start, take a look at one of the 10 gardening books or alternatively learn about 17 gardening apps you need to download now.